Welcome to Year Two of Glass-Free* Games! In our first year, thanks to the generous support of our patrons, we lovingly crafted and released into the wild twelve free games and game-like creations. In Year Two, we’ll be focusing our resources on a smaller number of more polished releases. Five games will be released over the course of the year that will be available for free to our patrons at every level, as a thanks for supporting us, and available individually to the public at a very reasonable price. We will also continue releasing free games for patrons and non-patrons alike, as our whims dictate. All our games are hosted on Drive-Thru RPG and are 100% certified glass-free*. Wendy Gorman’s To Have and to Hoard, a dragon triptych, will be releasing soon! If you’ve ever wanted to interact with a dragon in a non-slaying capacity, chances are one of these games will have you covered. Look for an announcement in June. This is the most recent weird quirky game that we are giving you for free! 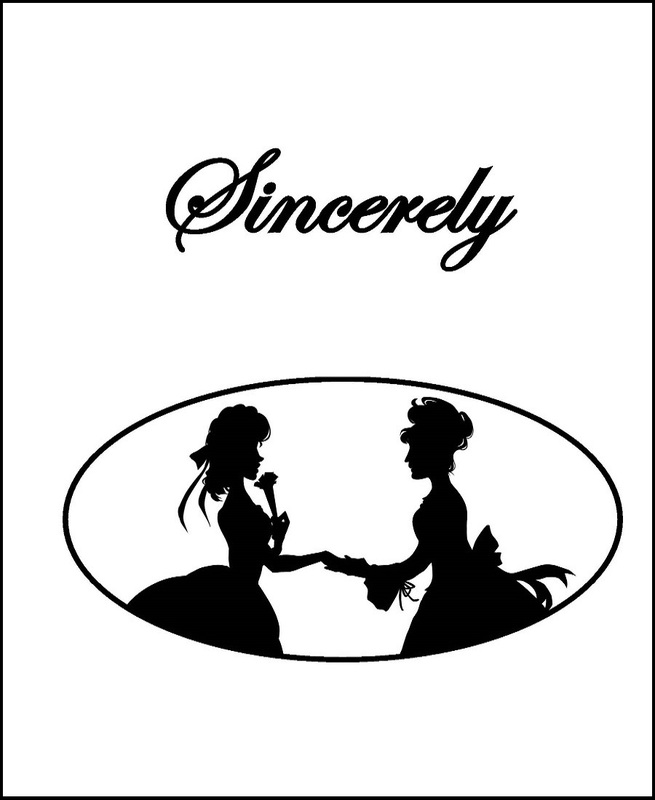 Sincerely is an epistolary larp by Heather Silsbee about love that is new, confusing, and inconvenient. Two players write and mail letters to one another as the characters of two women living in 1850s London and Philadelphia in a long-distance romantic relationship. After five weeks, the players will have created a work of historical fiction telling a dramatic story of romance, anticipation, love, anxiety, and possibly grief and tragedy. All our games are available on Drive-Thru RPG. We are Wendy Gorman, Heather Silsbee, David Hertz, and Tom Fendt, a group of four young designers from America's Scandinavia (Minnesota). We like producing games that are easy to learn and require little preparation, especially weird story games and one-shot larps. We care about making role playing games inclusive to everyone, especially people who historically haven't been represented in the medium. That means we don't put gross stuff in our games (nothing racist, sexist, homophobic, etc.). If we mess up in this regard, please let us know! Still Life, by David, Wendy, and Heather, won the 2014 Golden Cobra “Game We’re Most Eager to Play” Award and was a Big Games Selection at IndieCade 2016. Heather's game Stay, Still was selected as a finalist for Game Chef 2015, and her game Just Lunch won a 2015 Golden Cobra for "Best Use of Themes/Techniques for Evoking Empathy." Wendy is featured in the War Birds anthology with The Things She Carried and is a frequent contributor to Codex. Primarily, you should support us because we're making awesome games. Also, because we’re starving artists! But seriously, we’re all just recently out of college and trying to make our way in this cruel world. Most of us have student loans to pay and have had to resort to “real jobs” in order to live. Your support means that we can contribute more time and energy to making high-quality games for you. First Contact by Tom Fendt: Play as humans and aliens sitting down for a wacky intergalactic board game night. You get all of our games for free, including the ones that other people have to pay for. What a savings! Our games are normally between 5 and 10 dollars, so you're definitely getting the deal of the century here, as a token of our appreciation. All backer levels include the rewards from the previous levels. You will be personally thanked in the credits of every game we publish. When we periodically publish private polls and questions, we’ll ask you for input on our games and the direction of our Patreon. After Year Two of our Patreon comes to a close, we will be publishing a print anthology of all our Year Two games. When it is released in Fall 2018, you’ll get a discount code to purchase a copy of the anthology at cost (the price we a pay as a publisher) plus shipping, rather than the list price. Shinier games! When we reach this goal we will buy professional layout software and double-down on our efforts to learn to use it. The fancy features of this software will allow us to beautify our games and the advanced magnifying tool will help us ensure they are 100% glass-free*.